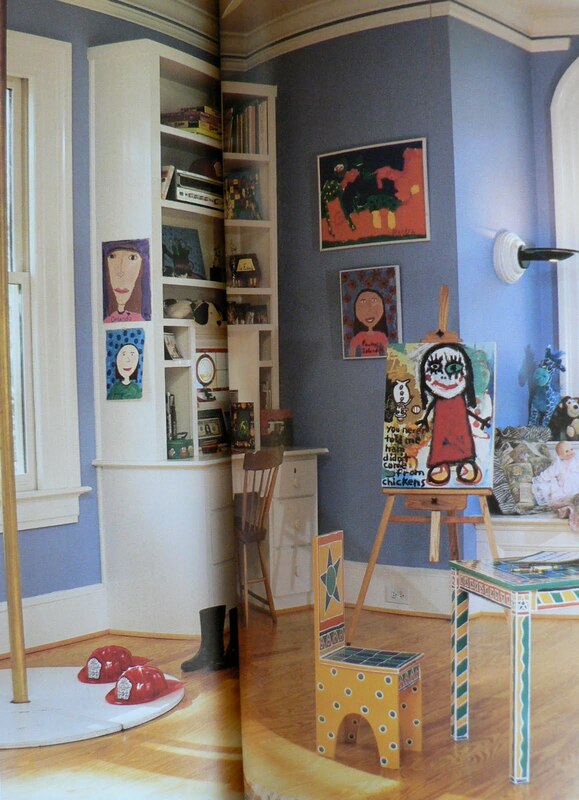 Childstyle: Decorating Ideas and Projects for Kids’ Rooms, 2003. When we moved house nearly two years ago, I bode a sad farewell to our beautiful large rental home in favor of a sweet mortgage and a much smaller apartment. And in the shift from a built-in bookshelf wall to a bookshelf, singular, I had to part with many, many books. Through Paperback Swap, a fantastic and nearly free-of-charge book exchange service, I amassed a number of ‘credits’ for future requests. It’s a low-risk way for me to try new books. I highly recommend it if you’re running out of space or just want a change of reading material. Hence, this post, the first in a series. My plan is to feature books/magazines that I’ve acquired in some way but (in my opinion) aren’t necessary for anyone else to purchase. They’re the kind of books that you hear about, or read about, or flick through in the checkout line at the supermarket, thinking to yourself, “this looks/sounds/appears interesting from the description/image/dust jacket, and besides, it can be returned . . .right?” And as it usually happens, that one description/image/dust jacket blurb is the best (and only good) thing about the book. I know it’s rare to find a magazine or source book that’s amazing from beginning to end. Not everything is going to appeal to everyone, and you’re likely to find some images or ideas more inspirational than others. 1. 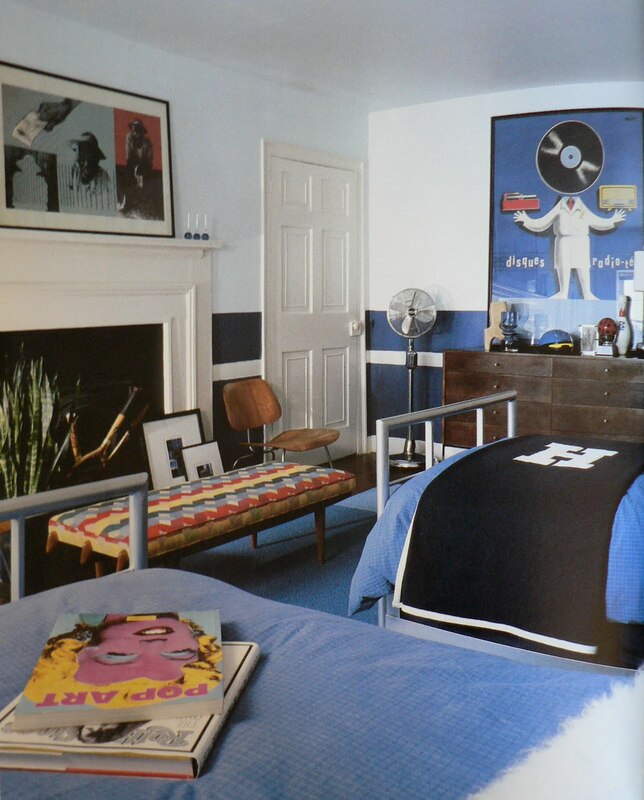 The blue ‘vintage’ room. Love everything about this room, from the mix of Eames and tubular steel to the machine-age posters and dual-toned wall. 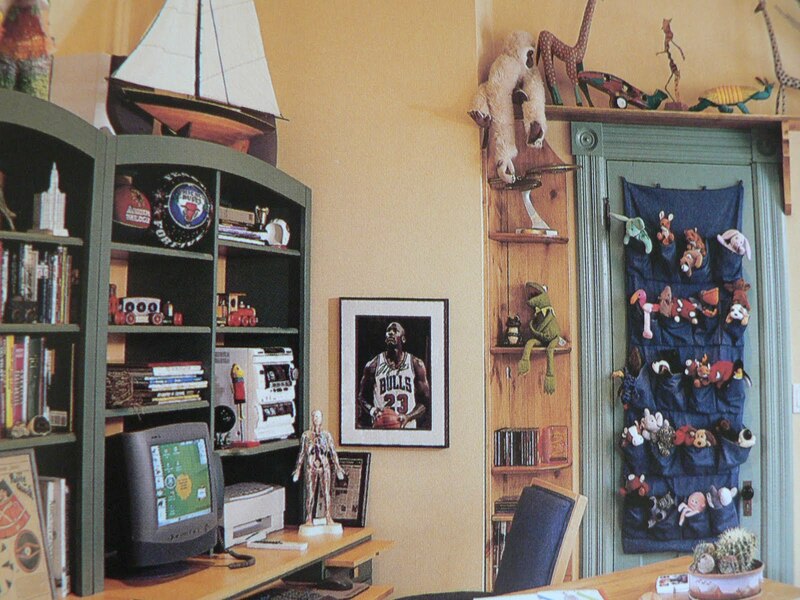 Although described as a teenage room, I think this could work for all ages. 2. Shoe organizer as toy storage. What a clever idea. 3. 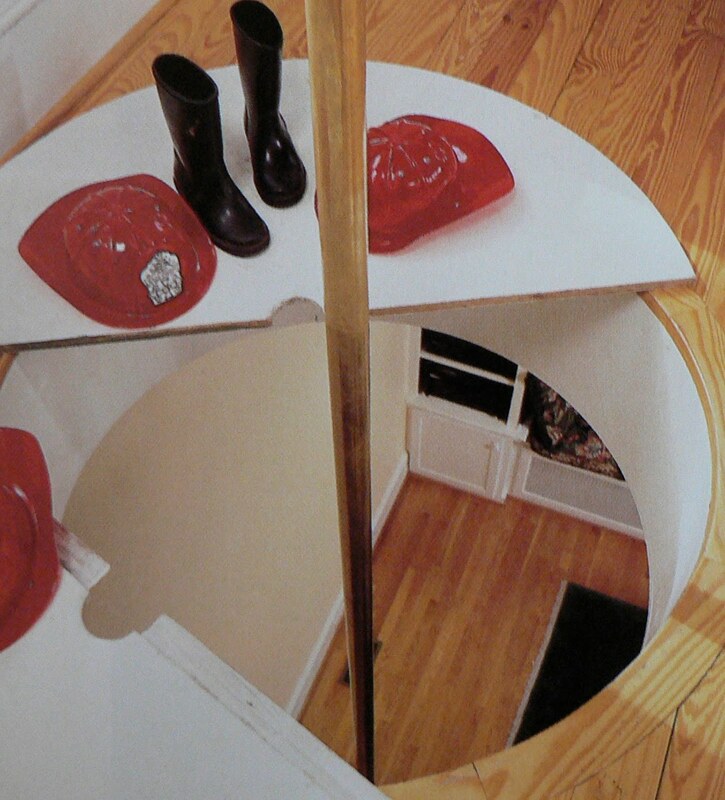 A fire pole. A FIRE POLE. 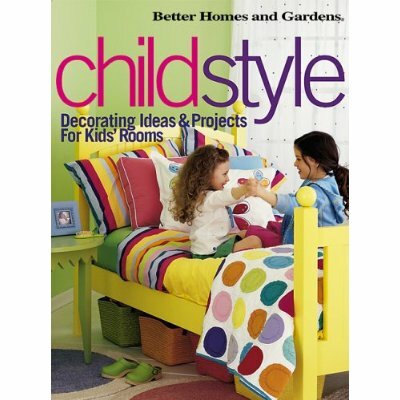 There’s even a paragraph that begins “If you are thinking of installing a fire pole in your home…” and recommends visiting a local firehouse first to decide if your kids will be comfortable with having one in the home. Find me a kid who would say no to that one. If you’re interested in any of these images, add a comment and I will scan and email you the accompanying copy.